Your hair is mat and without shine? You want healthy look and mirror shine? 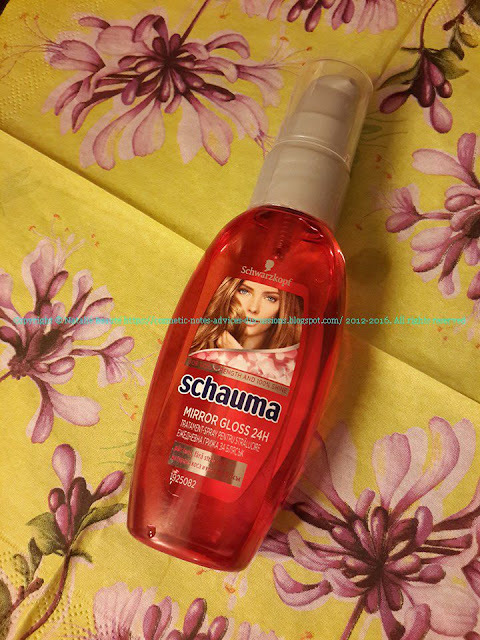 Maybe you should try "MIRROR GLOSS 24H OIL" by schauma. 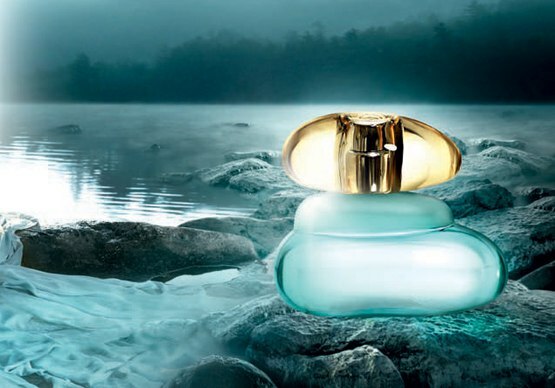 This product contains liquid Micro-Crystals and claims to keep the shine for 24 hours. It's suitable for all hair types. It nourishes and enriches the hair. 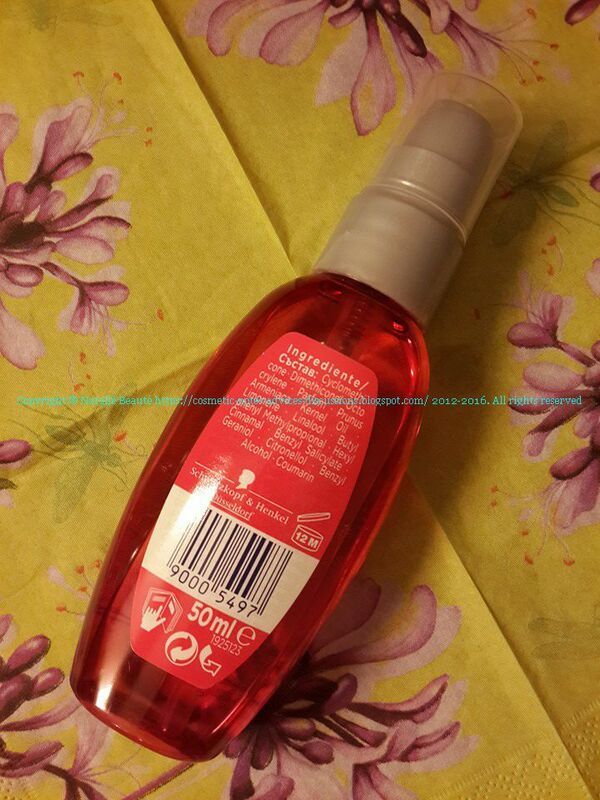 It contains Prunus Armeniaca (Apricot) Kernel Oil. It adds immediate gloss effect. You can use it before washing your hair, after wash, on dry hair just for shine. It doesn't weighing down the hair. Its scent is very pleasant - smells like Raspberries. The product is part from "MIRROR GLOSS 24H" line. 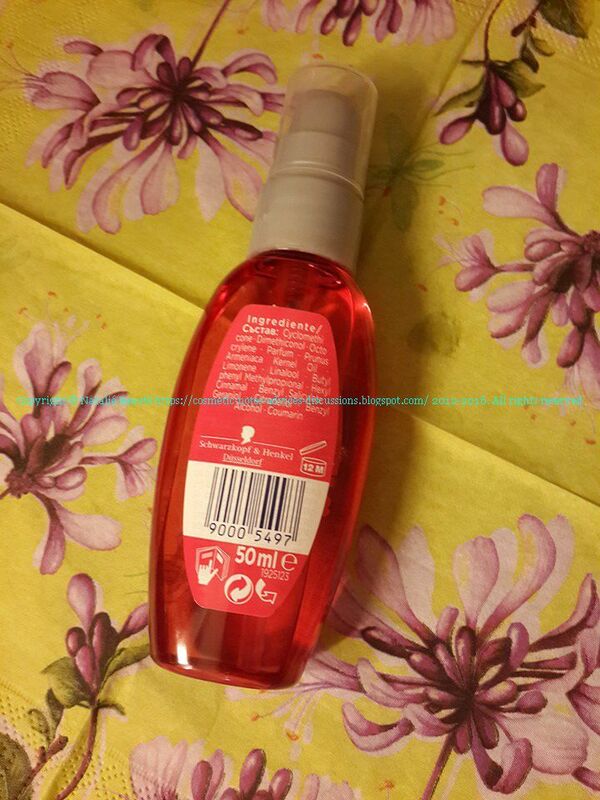 It's small pump plastic bottle, Raspberry colored, 50 ml. I find, that this product works very well. Just it doesn't give you "spectacular mirror shine and a dazzling sparkle". It makes your hair glossy, almost shiny, but not SPECTACULARLY mirrored shiny. Also, it doesn't give any neither DAZZLING, neither SPARKLE. It "works" normally. Does what it claims to do, but in some normal lines. Good product. Gives shine and vitality to your hair, glossiness, enriches it with Apricot kernel oil.